Throughout the centuries, the Jewish diaspora has provided civilization with some of the finest works of art, contributions to culture, innovations in music and homeland-inspired cooking. Focusing on time-honored and time-tested culinary traditions of the Middle East and Spain, the Cohens’ new work hopes to offer sumptuous vegetable-based dishes across a wide range recipes to anyone looking for unique flavors to complement their meals. From Nov. 11–18, the Katz JCC will hold its 29th annual Festival of Arts, Books and Culture featuring best-selling authors, entertainers and public figures. Vicky Cohen will be appearing solo to present the book on the festival’s final day, Sunday, Nov. 18, at 11:30 a.m. in Lahn Social Hall, as part of the “Ready, Set, Cook!” portion of the program. The Cohen sisters spoke with The Sun about a number of topics relating to their background and how the book came to be. Describe your background and how you came to live in the area. Ruth: “I was born in Barcelona with Vicky and my parents already established there. I then moved to the USA when I was 19 for college. It was a whole different experience from growing up in Europe. Can you name anyone from your family or your childhood who influenced your love of cooking and could have influenced you to write about it? Was it an easy decision to team up to write the book? During the process, did you encounter any sibling rivalries or arguments over form, content, or the choice of the recipes themselves? 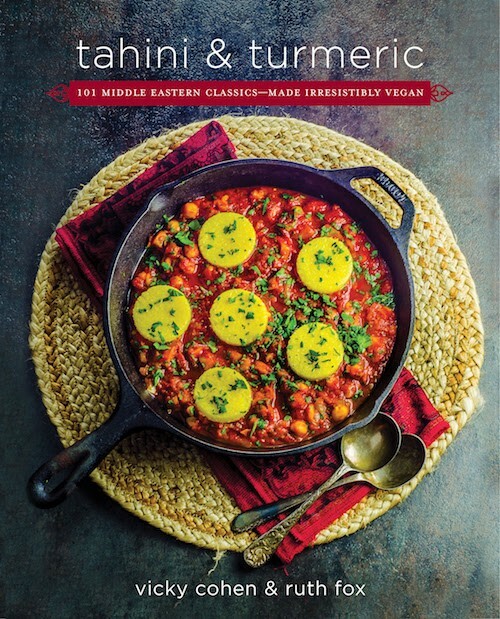 The book focuses on dishes from a specific area at or near the Mediterranean Sea: Turkey, Israel, Lebanon and Spain. Is this a family connection or something else that led to that area of interest? What else can readers take away from the book and its recipes? For more information on the Festival of Arts, Books and Culture, visit katzjcc.org/abcfest/. Cost is $10 for JCC members and $12 for the general public. To find out more about the sisters or their recipes which may have not made it into their book, visit mayihavethatrecipe.com. The book itself can be found in local bookstores as well as online at Amazon.com and barnesandnoble.com. Retail price is $15.99.